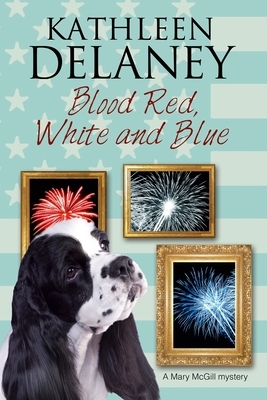 Santa Louisa's Independence Day celebrations lead to a case of cold-blooded murder in the latest highly entertaining Mary McGill dog mystery. It's the 4th July and the town celebrations have gone off without a hitch. Except for the body in the oak grove, shot in the back. The unfortunate victim was a visitor to the town. Mary McGill and her cocker spaniel Millie had seen him only that morning, staring in the window of Lowell's Jewellery store, his German Shepherd, Ranger, at his side. Could the diamond and sapphire necklace which caught his attention have some connection with his untimely death? What brought him to Santa Louisa in the first place? Having agreed to look after Ranger temporarily, Mary is unwillingly drawn into the murder investigation. She never dreamed that her enquiries would lead her into serious danger ... and more murder.